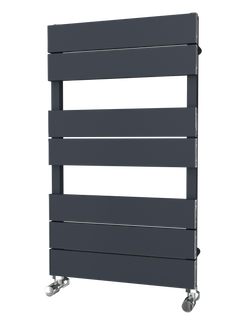 The DQ Modus Column Radiator has a range of additional floor brackets and slip on feet. When ordering with feet between 24 and 40 sections, we recommend that you order an odd number of sections as well as these are supplied with 3 fixings. The Modal Thermostatic radiator valve set is made from high quality brass which is finished in White finish. Great quality at a bargain price. The Modal Thermostatic radiator valve set is made from high quality brass. Great quality at a bargain price. 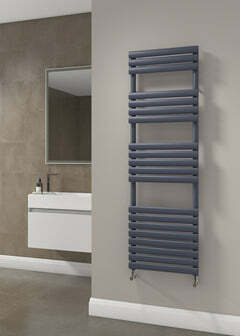 Reina T Junction For Dual Fuel Heating Element is required when plumbing in a dual fuel radiator. 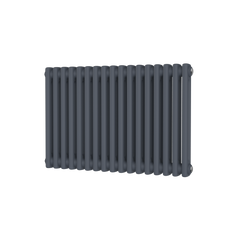 Also required will be a Reina Standard Heating Element. 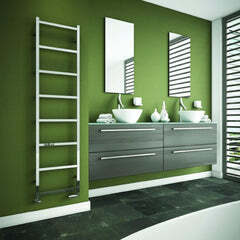 The Reina Portland Angled Radiator Valves offer contemporary styling to compliment suitable designer radiators.